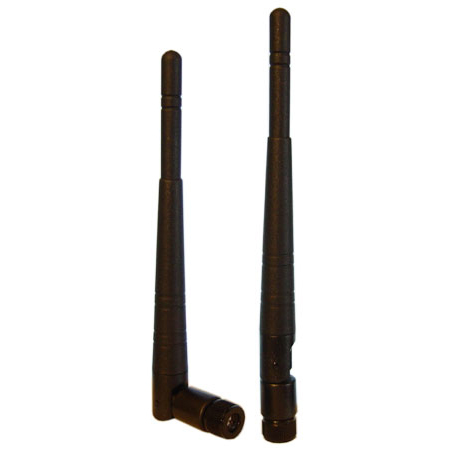 The TriBand RD2458-5 Series Antennas are high gain (3dB @ 2.4GHz and 5dBi@5GHz) omnidirectional antennas designed for indoor use. They are rugged and reliable. The heavy duty knuckle gives angular detents at 0, 45 and 90 degrees. The antenna is a -TriBand- rather than -Wide Band- antenna design in that it will reject out of band signals between the bands of interest. This feature helps to minimize interference and system noise. The antenna features a 360 Degree Horizontal Transmission Pattern and a 90 Degree Vertical Transmission Pattern.